← I Can See Your Halo. 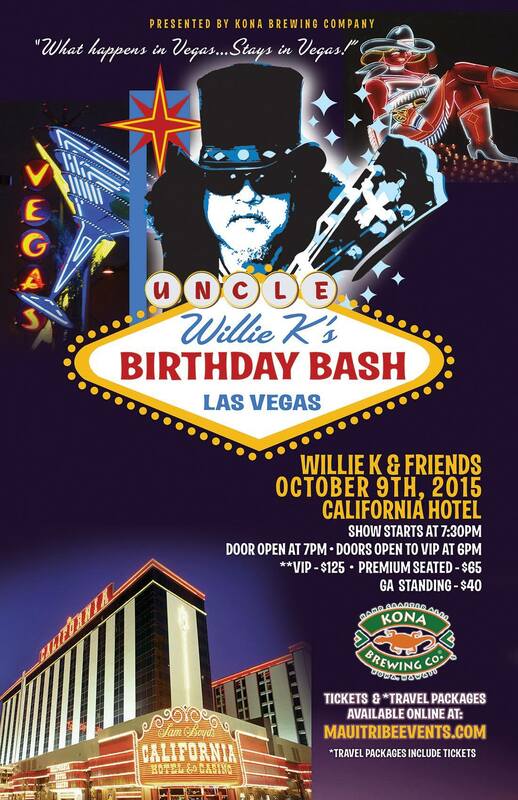 Willie K’s Birthday Bash at California Hotel on October 9, 2015 from 6 P.M. in Las Vegas. This great night of music and celebration will feature special guests Amy Hanaialii, Alika Nako’oka and comedian Rodney Villanueva as emcee. Willie is such a great performer and an awesome brother!